The development of smartphones is faster and faster. New technologies are discovered everyday. Flagship phones and high-end phones are drawing people’s attention with all kinds of functions. However, not all people are able to own an expensive high-end phone. And not all people have the need for flagship functionalities. There are still many people who would prefer cheaper and simpler phones, especially in developing countries. We know Samsung is the top mobile manufacturer in the world. Every year, Samsung has the most market share in the world. But it is not high-end models that have the biggest sales volume. It is middle-range and entry-level models. And we can know there are still huge needs for cheaper smartphones. KXD Mobile has been known for its high cost-performance products. In 2018, KXD has released several super budget entry-level phones—T55, T50, W55 and W50. They can satisfy the needs of low-end market. But which one is the best entry-level smartphone in 2018? Let’s take a look at what these phones are all about. In today’s market, full screen phones are the hottest trend. And even many entry-level phones have packed with 18:9 display. KXD T55 is the same case. And T55 does much better than competitors in the same price range. T55 features a 5.5 inch 18:9 IPS display which provides 85% screen-to-body ratio. T55 is built with aluminum and poly-carbonate. And there are also dual cameras and fingerprint scanner on the back, which are missing in many entry-level phones. T55 also supports the latest face unlock. All in all, KXD T55 is a qualified entry-level with many things to offer. As the lite version of T55, KXD T50 is smaller and cheaper. If you like small screen, T50 is your phone. It has a 5 inch 18:9 IPS display which makes the phone narrower than 16:9 phones. The battery is also a smaller 2000mAh one with ECO Energy Saving mode. T50 also has the same cameras. It packs with rear 8MP+2MP dual cameras. The processor is the same SC9832E. There are some disadvantages compared with T55. But you have better camera and lower price. Why not choose T50 if you like small-screen phone? 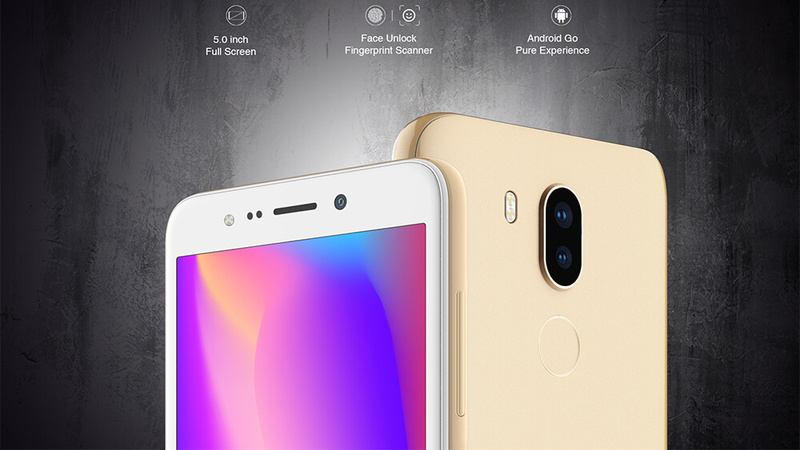 If you are more into old-fashion style and you don’t care about 18:9 display, KXD W55 is there for you. The 5.5 inch 16:9 display provides better viewing experience when you watch traditional 16:9 videos. There is metallic brush on the back cover. And KXD optimized the speaker on W55, improving the audio performance. The 2500mAh battery can get you through a day of light use. The 5MP rear camera and 2MP front camera can satisfy the basic photography needs. And W55 offers 4 colors of selection. KXD W50 is similar to T50. It is also the lite version of W55 with smaller display and battery and the best 5 inch Screen Smartphone. The display is 5 inch IPS LCD and the battery is 2100mAh. Other specifications are the same with W55. But W50 has different design on the back cover. It has tiny patterns to prevent slipperiness. W50 also comes with 4 colors: black, gold, blue and red. If you don’t care big screen and you want to save money, W50 is a better choice. It is the cheapest one so far. From above, these 4 entry-level phones have their own differences. And they also prove that even low-end can do better and bring more functions to users. 18:9 display and 16:9 display, metal and plastic, dual camera and single camera, smaller and bigger size; cheap and expensive; no matter what your standard is, you can always find the best entry-level phone you want. So, based on your own situation, which one is the one for you?